Encouragement for Faithful Writers everywhere. Please share with your writing friends. Reading time: less than three minutes. In the last few months, I've been practicing contemplative prayer—meditation—almost daily. I use an app recommended by Jean Wise called Centering Prayer, and I set it for 20 minutes (I started with 10 and worked my way up). I usually fail to quiet the chatter in my head, but I am noticing a significant improvement in the volume of my writing. A year ago, my journals went days at a time with no entry. This year, I'm inspired by my meditations or other reading to write much more regularly: ideas, reflections, questions, and impressions. I think the meditations have made space in my head for creative energy to flow. Most great writers and writing teachers preach the importance of regular writing, even when it's rough or far from ready for public consumption. It's ironic that taking 20 minutes out of my day for prayerful meditation has actually made me a more productive writer. Recent Word-of-the-Week words on the Heartspoken blog were cacophany and smithereens Here's a spelling/vocabulary challenge on which I did very well, for a change! Merriam Webster's “Spell It” Quiz — listen to the word and then spell it. Joe Bunting and his team focus on a great writing success factor — deliberate practice. When you go to their website, you'll see “Become a better writer faster” with a “Go to the assessment” button. That hooked me. Of course I took the assessment and its results were interesting. Scroll down for several free tutorials and links to lots of interesting-sounding topics that would make anyone a better writer, whether you're writing a book or letters to to your friends. Their “About” page also has an intriguing message in bold letters: “The Write Practice Can Help You Get Published: Let me show you how.” Follow the arrows and you'll be able to sign up for daily writing prompts and a give-away called “14 Prompts.” They have a paid subscription, but I was impressed with the amount of free and very helpful information. Use this image to inspire your writing or reflection. It is a photo of an antique mini-typewriter used by Alfred I. du Pont at his estate “Nemours” in Wilmington, Delaware, in the early part of the 20th century. Set the timer on your smartphone for 15 minutes. Don't think; don't edit; just WRITE! 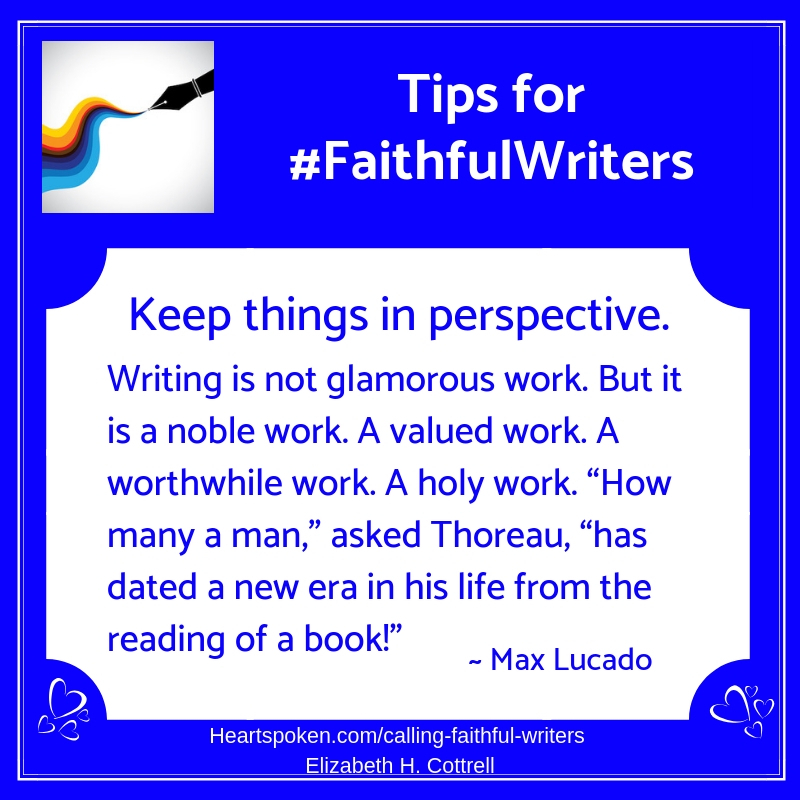 Feel free (but not obligated) to share your results in the Faithful Writers private Facebook group. “Let The Spirit of St. Patrick Feed Your Heart And Soul.” It features music videos by Celtic Thunder and Paul Byrom. “Remember The One Minute Rule” – inspired by Gretchen Rubin, this easy-to-remember rule has literally changed my life. Should Christians Forgive AND Forget? – Updated and republished from the Heartspoken archives, this is a timeless question. I'd love to know what you think? BOOK GIVEAWAY: Every time you leave a comment on my blog before the end of April, you'll be entered into a drawing to win a copy of Gretchen Rubin's new book Outer Order, Inner Calm: Declutter and Organize to Make More Room for Happiness. 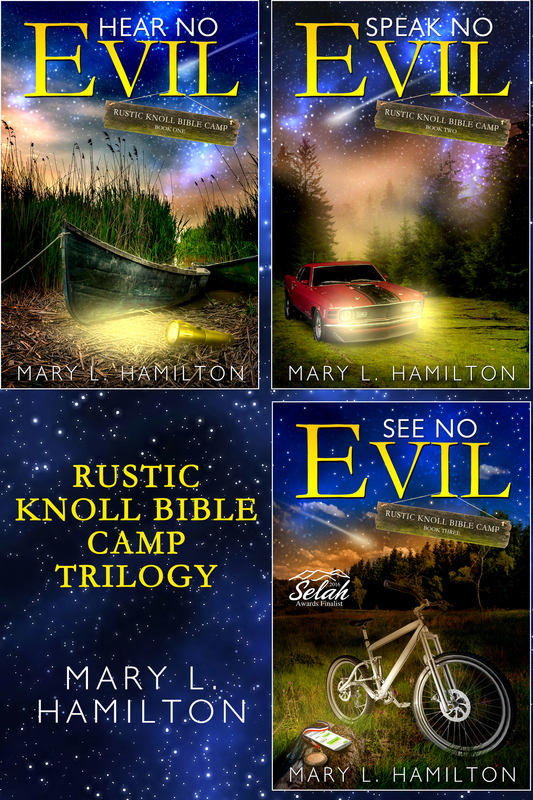 Author Mary L Hamilton drew on her experience growing up at a Christian youth camp to write her Rustic Knoll Bible Camp series for middle-grade readers. 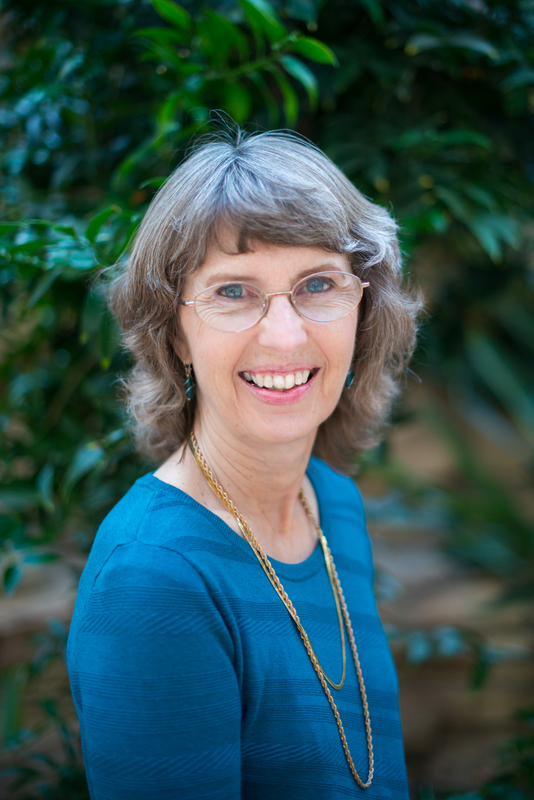 Currently, she writes adult contemporary novels set in Texas where she makes her home. When not writing, Mary enjoys reading, knitting, and a little phone photography while watching sunsets over a lake. 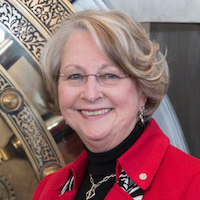 She and her husband have three grown children and one awfully cute grandson. 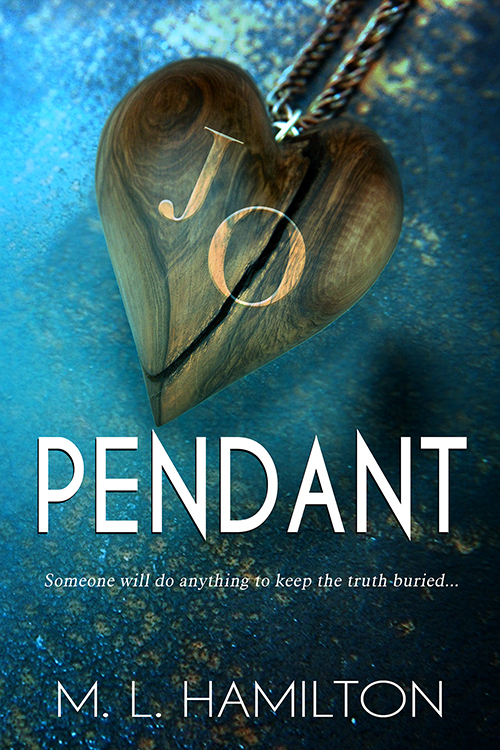 Elizabeth's note: I loved Mary's Pendant — the story and the characters! If you know middle grade children or grandchildren, tell them about the Rustic Knoll Bible Camp Trilogy. Who says we can't work faith into a mystery? P.S. Have a question or comment? Just reply to this email…it will come straight to me and I'll respond. P.P.S. If someone shared this newsletter with you, why not get your own? When you add your name to my email list (CLICK HERE), you'll get a special gift and my enduring gratitude.